Posted on 19/07/2013 by U.N.
CARLAM (Société Carolorégienne de Laminage), the wide hot strip rolling mill in Chatelet, Belgium was built in 1976 on the banks of the Sambre river by the Hainaut-Sambre steel company. 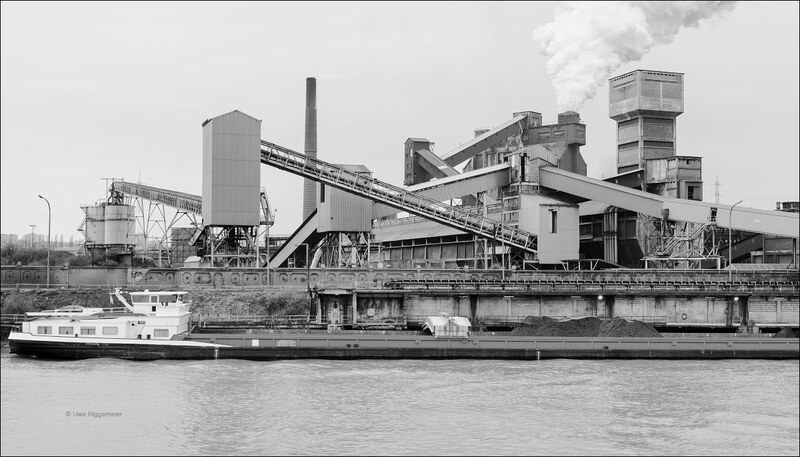 It became the third wide hot strip mill in Belgium (besides Espérance-Longdoz’ Chertal site and Sidmar in Ghent). 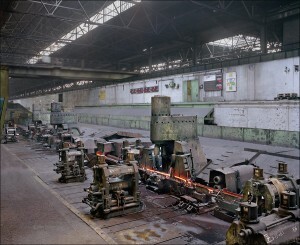 The mill was supplied with slabs from Hainaut’s BOF shop (built in 1971) in nearby Montignies. 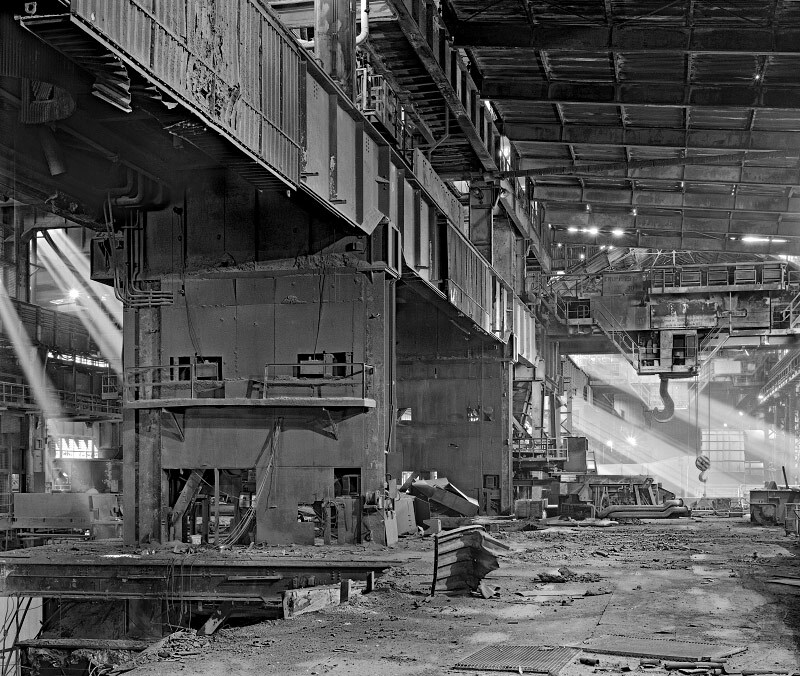 In 1980 Hainaut-Sambre merged with the Thy-Marcinelle steel company located in another suburb of Charleroi to become the largest steel producer in the Sambre valley. Only one year later Hainaut-Sambre joined the Cockerill company from Liege, Belgium to form Cockerill-Sambre. 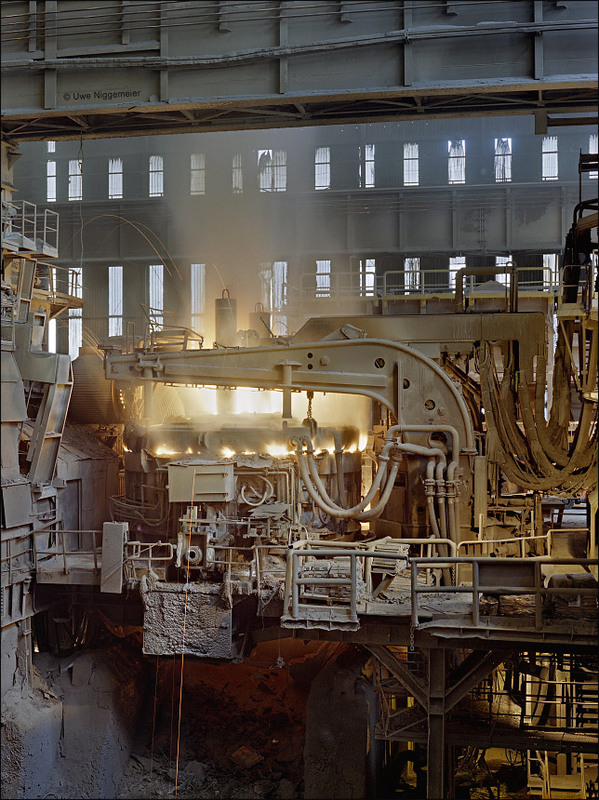 In 1982 a second walking beam furnace and a sixth finishing stand was installed at Carlam. 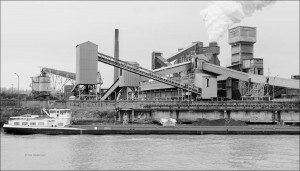 The blast furnaces and the BOF steel making in Montignies were closed in 1985. 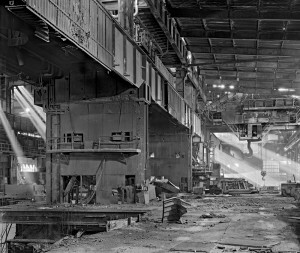 Slabs were provided by Cockerill Sambe’s OBM steel plant in Marcinelle (built in 1976) from now on. A seventh finishing stand was commissioned at Carlam in 1989. Cockerill-Sambre became part of Arcelor in 2002. After the integrated steel production at Marcinelle was sold to the DUFERCO steel group in 2004 (now called CARSID) a new stainless steel melt shop was built in 2004 in Chatelet next to the Carlam rolling mill. Carlam was renamed Carinox and became part of Arcelor’s stainless steel branch Ugine & ALZ. The stainless branch of ArcelorMittal (who merged in 2007) was spinned off under the new name Aperam in 2010. 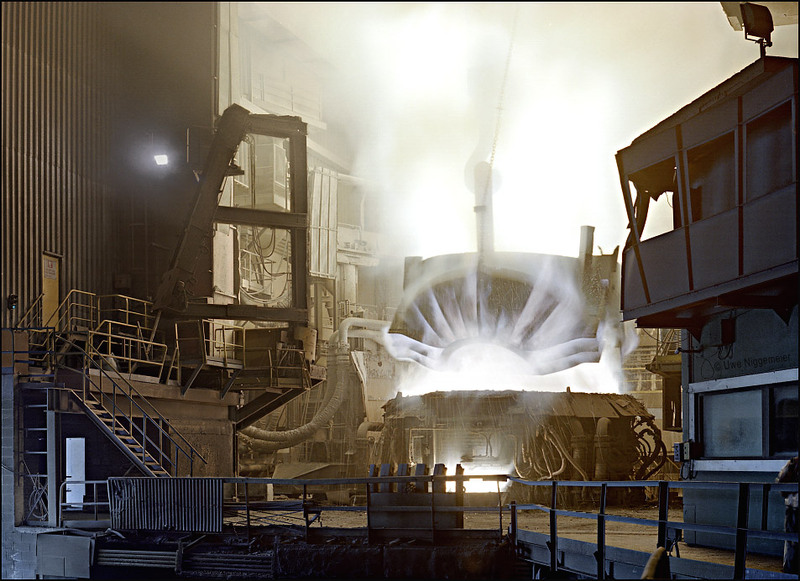 The newly installed 160 tons electric arc furnace is one of the largest in Europe. It supplies raw steel to a 180 ton AOD converter for the transformation to stainless steel. The steel is then casted into slabs weighing 30 tons each. 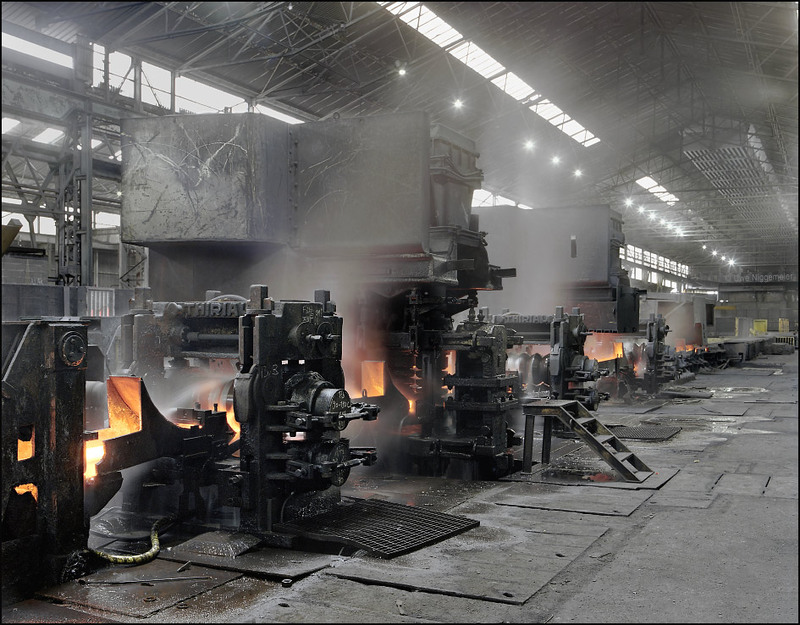 The wide hot strip mill processes slabs both from Chatelet and the second Aperam melt shop in Genk, Belgium. Posted on 07/11/2012 by U.N. 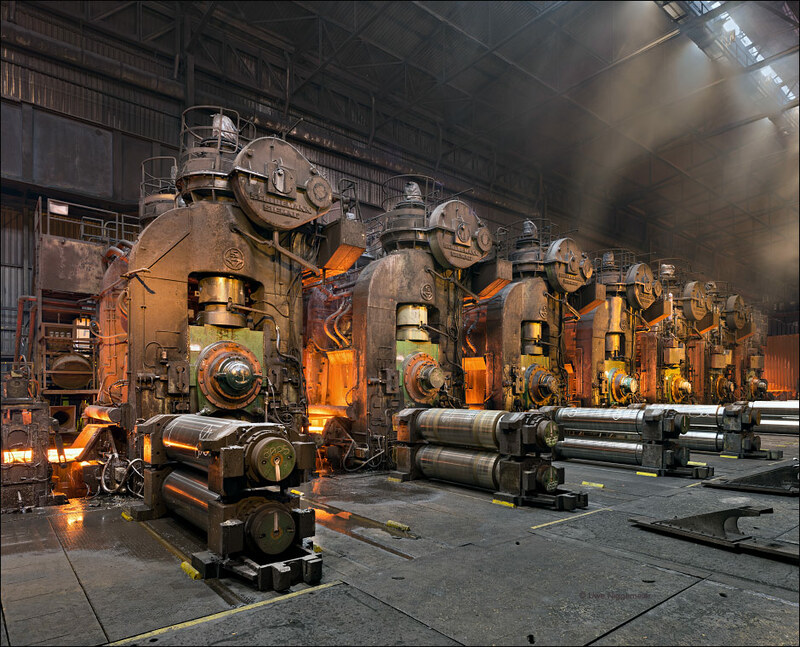 The AFV Beltrame Group from Italy declared on monday that they will shut down their bar rolling mills in Monceau s. Sambre, Belgium and in Esch-Schifflange, Luxembourg definitly. Images of the Laminoirs Du Ruau and the Train A Lamines Marchands.